Healthy snacking doesn't mean you must sacrifice satisfying flavor and taste. In fact, it's just the opposite. There is an ever-growing list of healthy, tasty and Pritikin-approved alternatives to many of your favorite snacks. 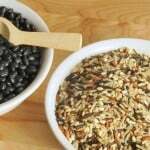 Once you try out these fiber-rich, whole food alternatives, you'll never opt for those French fries, ice cream sundaes or potato chips again. 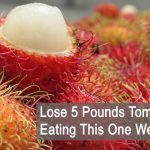 Once your try out these fiber-rich, naturally low in sugar, salt and saturated fat, whole food alternatives, you'll never opt for those unhealthy French fries, ice cream sundaes or potato chips again. There’s no question that junk food such as tortilla and potato chips aren’t good for you. Today, however, you can likely find an entire aisle at the grocery store dedicated to “healthy” crispy bites, as food manufacturers have moved far beyond producing just vegetable chips. Taking advantage of culinary health trends, companies are now selling crisps made from things such as quinoa, flax seeds, beans and sweet potatoes, according to Nutritional Outlook. Often labeled and marketed as nutritious alternatives, these store-bought snacks are still highly processed and likely not much healthier than the greasy potato chips a few shelves over. 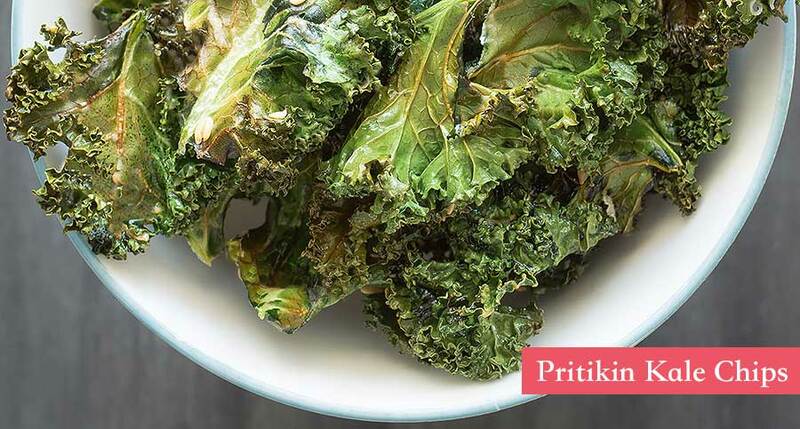 The next time you're in the mood for a crunchy snack, try this delicious, nutrient-rich recipe for Pritikin Kale Chips. With less sodium, fewer calories and a lot earthier flavor than their prepackaged counterparts, these kale chips will big a hit. This recipe works best with flat-leaf varieties of kale, not the curly kind. Use scissors to cut kale leaves into chip-form, about three times the size of a normal potato chip. 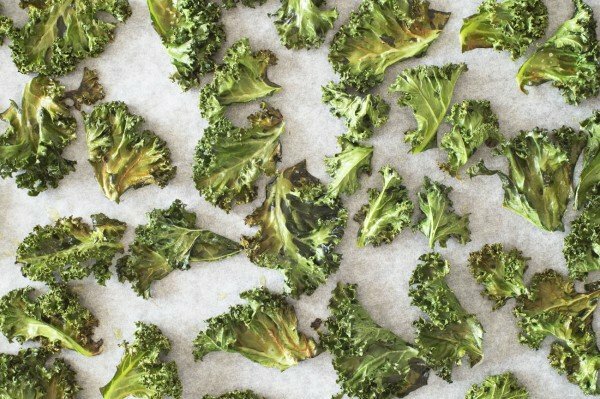 Lay the pieces of kale flat on a nonstick baking sheet. Use more than one sheet if necessary, do not overlap kale pieces. Lightly mist kale with oil spray. 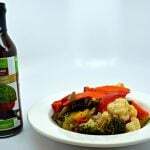 Season with fresh ground pepper and any additional no-salt-added seasoning of your choice. 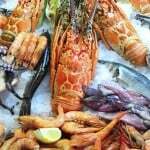 Great options include garlic powder or salt-free Cajun seasoning. Bake in over for 10 minutes. Allow chips to cool before eating. While warmer weather and visions of young children holding cones dripping with melted ice cream may convince you you’d like a frozen treat yourself, one look at the amount of sugar and saturated fat in a single scoop of triple chocolate twist will stop you in your tracks. Just one serving of ice cream often packs several hundred calories, at least 10 grams of fat and lots and lots of sugar. In fact, according to the American Heart Association, ice cream is one of the leading culprits of added sugars, meaning that it is packed with processed sugars that aren’t naturally occurring. AHA guidelines suggest limiting your added sugar intake to no more than half of the daily sugar calories you’re allowed. For men this means no more than 150 calories per day, which equals about nine teaspoons of added sugar. For women, added sugar consumption should be limited to 100 calories, or six teaspoons, per day. Pour the plain Greek yogurt into a dessert bowl. Stir in one packet of Splenda and a handful of the berries of your choice. Pulse ice cubes in a food processor until flaky, but not slushy, for about 45 seconds. 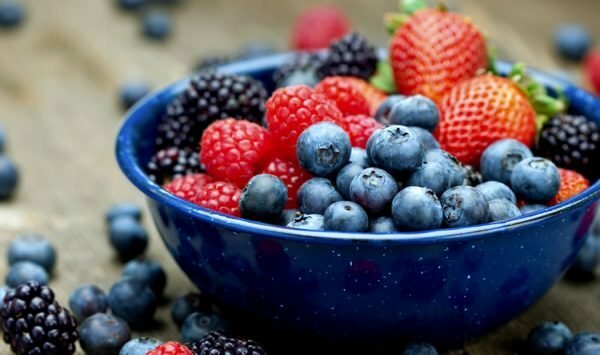 Fold shaved ice into the bowl with yogurt and berries. When it comes to snacking, the calorie density of the food should always be taken into account, according to Pritikin’s Director of Nutrition Kimberly Gomer, MS, RD, LDN. That being said, a good rule of thumb is to always go with the vegetables. In comparison to a pound of peanuts that equals a whopping 2,570 calories, one pound of vegetables is between just 65 and 195 calories. 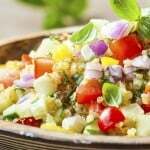 Vegetables are the lowest-calorie dense food which in turn, makes them the absolute best snack for weight loss. 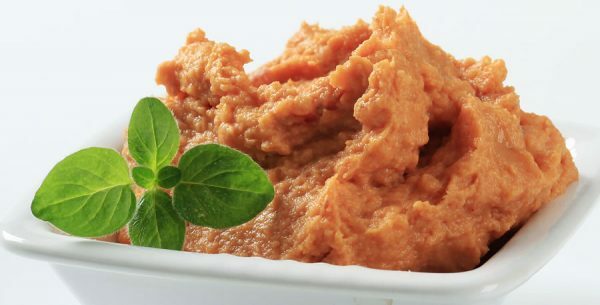 The next time your stomach starts to grumble before dinner, try out the Pritikin recipe for Roasted Sweet Potato Hummus. This recipe is great because not only is it easy to make, but it's a great way to get some of the Pritikin Eating Plan's recommended five daily servings of complex carbohydrates such as whole grains, yams, beans and potatoes. Wrap a scrubbed, rinsed and sliced sweet potato in aluminum foil and bake for about 1 1/2 to 2 hours, until soft. Add water if hummus is too thick. More often than not, reaching into your cupboard for a snack is not motivated merely by hunger. Whether it’s habit, tiredness, boredom or stress that leads to grabbing that second bag of pretzel sticks, it’s important to understand where those impulses are coming from. When they do hit, here are some helpful tips from the Pritikin team to follow. Keep moving: If you start to notice one of those cravings washing over you, distract yourself. Move away from the refrigerator by taking a short walk around the block or engaging in another activity. Instead of popcorn, opt for edamame beans. Fresh or frozen, simply pop them out of their shells and enjoy these light and chewy, but filling bites. What’s more – the need to peel the pods slow down your food intake. Instead of cookies or sweets, make a snack of cottage cheese. Find a fat-free and low-sodium brand and top it with fresh fruit. Get rid of the unhealthy, fat-filled junk food in your home. If it’s not there, you won’t be able to reach for it when a craving hits. Always keep a stash of healthy fiber-rich, nutrient-filled snacks with you at all times. That way, when hunger strikes at work, in the car or at the gym, you won’t be forced to make an unhealthy decision.